I'm currently working on a still life of old metal tools which I should have ready to post in a few more days. 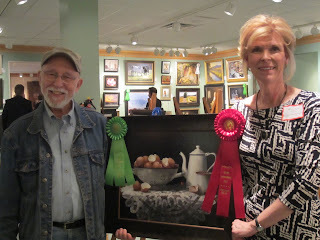 2013 Salon International Merit Award in the Still Life category! Wow! Still processing the events of the weekend! 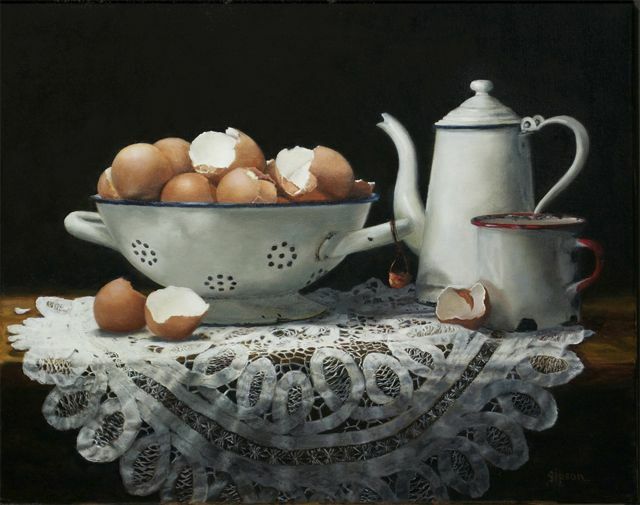 I'm happy and honored to announce that Eggs and Enamel won the 2013 Salon International Merit Award in the Still Life category! The Salon International is a project of the International Museum of Contemporary Masters of Fine Art and sponsored by the Greenhouse Gallery in San Antonio Texas. 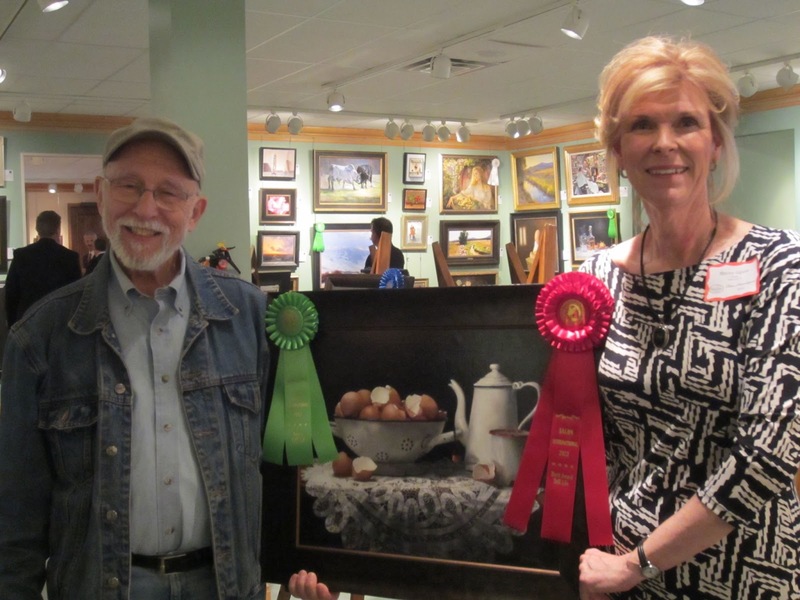 What a wonderful surprise when it was announced at the Awards Dinner at the Greenhouse Gallery Friday night! I'm humbled to be recognized among the amazing art displayed in this exhibit! It was wonderful meeting Max Ginsburg (the judge) who is a delightful man and so full of knowledge about art. I wish I'd had a recorded to capture his words and insights! I met many amazing artist! If you ave a chance to visit the Greenhouse Gallery before the exhibit ends (May 3rd) you will not be disappointed!